We managed to get some very early hands-on time with Asus’ next addition to its Eee PC line up, which is due to be announced some time today. We've also managed to garner enough information on the new Eee to put together some early thoughts on this exciting new device. The new unit, which will be known as the Eee PC S101, excites us because it is such a massive departure from previous Eee PCs. The major change is the sub-notebook’s aesthetics – the Eee PC has grown up and it no longer looks, or feels like Your First Notebook, never mind a cost-cut device. 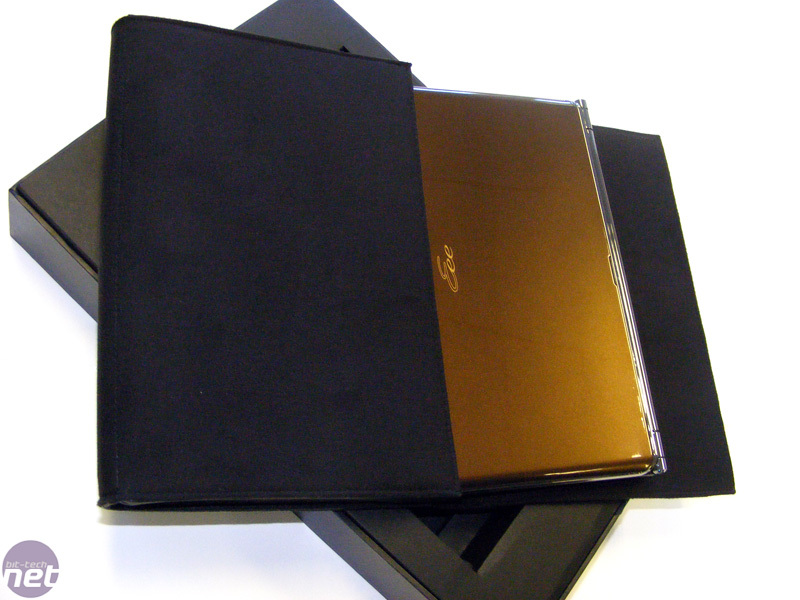 In fact, it actually has more similarities with the company’s ultra portable notebook line than it does with the current Eee PC models on the market, but before we get onto the device itself, we should have a quick look at how Asus will pack the unit. 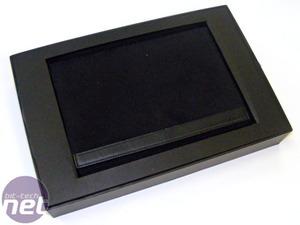 We didn't get to see the outside of the retail box during our time with the S101, but we did see the insides. 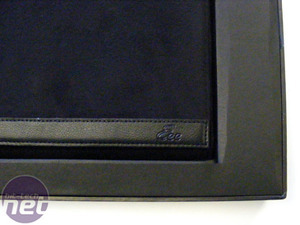 The S101 is packed neatly inside a suede wallet with a leather trim stitched along the bottom edge of the flip cover. 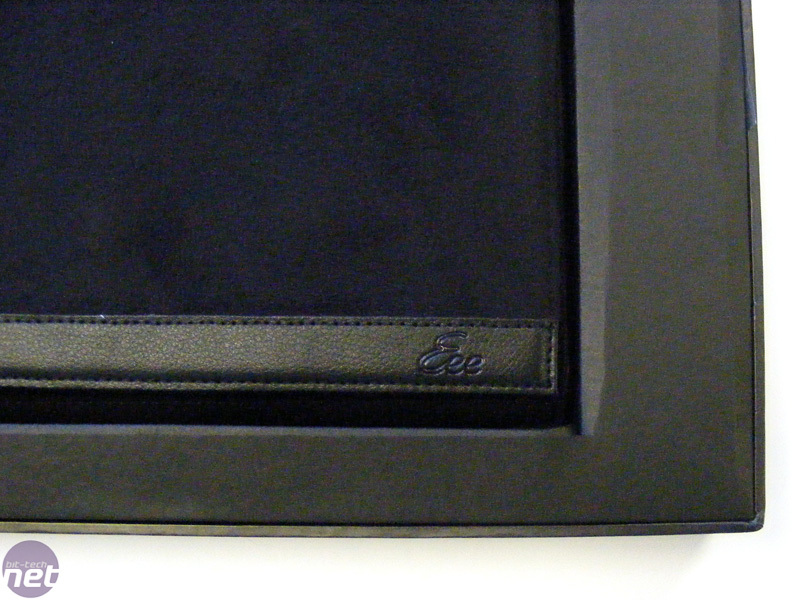 Towards the bottom right corner of the fold-over flap, there's the familiar Eee logo embossed onto the leather. 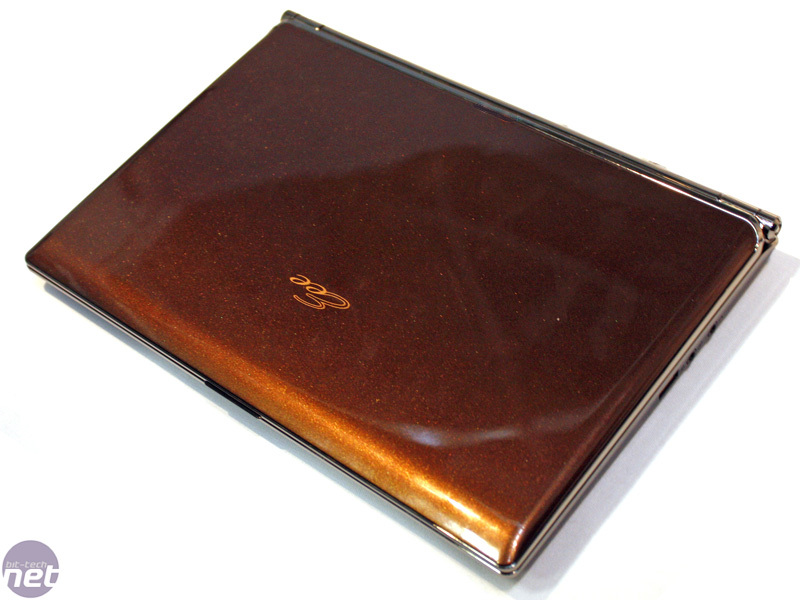 Opening the flap reveals the Eee PC S101's striking metallic burnt orange lid – a massive change from the black and white casing used on the older Eee PCs. It's already clear that Asus has changed direction with the S101 and we think that it's for the better. However, we're sure that some won't like the burnt orange – we've heard that Asus will be offering a number of lid options, including graphite and champagne, along with the metallic burnt orange on the model we looked at. Asus is aiming this particular Eee PC more at the corporate types that want the portability of an Eee, but want something a bit more stylish – I'm sure that's what most of us would prefer, anyway. I was never really a big fan of the original Eee PC's design, but the new model has really got me interested in the netbook market all over again. The S101 is 264mm long, 180.5mm deep and between 18 and 25mm thick, which makes for a pretty svelte appearance, but it's not as thin as some of the new ultra slim notebooks like the MacBook Air or Lenovo's ThinkPad X300. However, at its thickest, it is thinner than Sony's incredibly stylish TZ-series notebooks and the TZ and bulky don't belong in the same sentence. Although there were no scales to hand when we looked at the Eee PC S101, Asus claims that it weighs about 1kg with the battery attached. Luckily, I had my trusty IBM ThinkPad X60s to hand, complete with the standard four-cell battery, which weighs about 1.25kg. It felt a bit heavier than the S101 with the new Eee in one hand and my X60s in the other, but the difference wasn't so profound that it was like holding a feather in one and a brick in the other.